Oh, Kimmy Gibbler — The loveable, mischievous next door neighbor in our favorite '90s sitcom, "Full House" has returned. 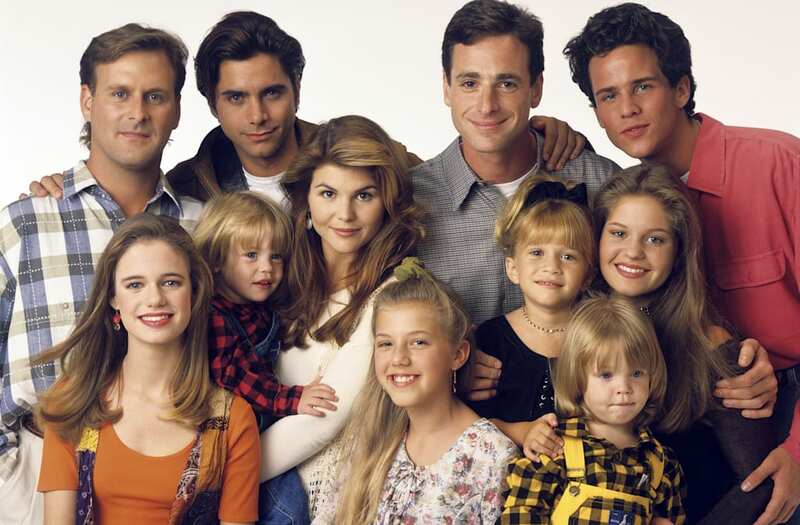 As commotion continues to bubble over news of the "Fuller House" reunion show on Netflix, it seems all us '90s kids (and parents) can't get of this star-studded blast from the past. WE'RE BACK! After almost 20 years...my bright tights are officially coming out of retirement. The Full House sequel #FullerHouse premiers exclusively on @Netflix in 2016! While of course we know what the Olsen twins, Candace Cameron Bure, and John Stamos are up to now, we're left wondering — what in the world has Kimmy Gibbler been up to? Well folks, Kimmy (aka Andrea Barber) still looks pretty much the same...which is fabulous, of course. #TBT 1988 @candacecbure Back before we started doing funny face selfies...we were doing funny face selfies. In a 2013 "where are they now" interview with Katie Couric, Candace Cameron Bure explains that Barber is the exact opposite of her precocious, trouble-making persona of Kimmy Gibbler. What's even better? Barber and Bure are still best friends in real life! According to Huffington Post, Barber left show business after "Full House" ended in 1995, and went on to an impressive pursuit of academics. Barber earned a B.A. in English from Whittier College, and a M.A. in Women's Studies from the University of York in England. She then returned to her alma mater to work at Whittier College's Office of International Programs. In 2002, Barber married Jeremy Rytky and has two adorable children, Tate and Felicity. Aside from reprising her role as Kimmy Gibbler in the Netflix "Fuller House" 2016 reunion, looks like Barber is an avid runner, too. Real runners wear fuel belts under their wedding gowns.